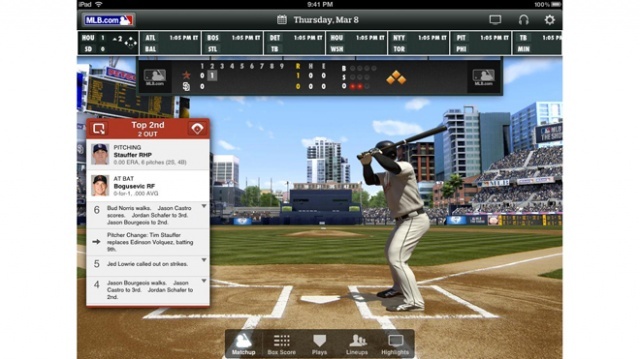 With baseball season approaching us quickly, now is a great time to download the new MLB At Bat 2012 application for iOS. The MLB At Bat series of applications have been great every year, and for 2012 MLB decided to make some nice changes and better pricing options. Let’s start with the better pricing options, instead of having to pay $30 for the separate iPhone and iPad apps like last year, the app is downloadable for free but you can get more features with a $14.99 season pass. There are also other pricing options. You can pay $2.99 to use the app on a month by month basis. Or, if you have a MLB.TV Premium subscription, you will be able to watch live games from all your devices, including your Apple TV and Mac. 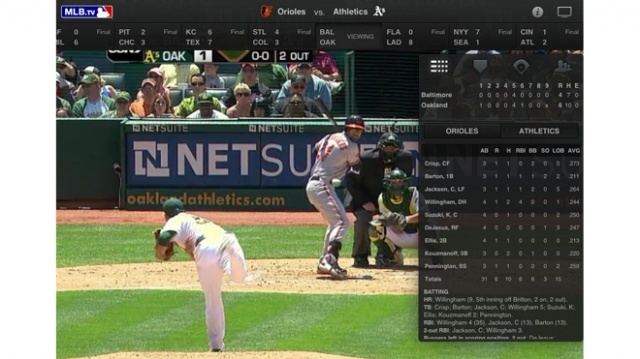 MLB At Bat gives you access to live game broadcasts, radio broadcasts, play-by-play, scoreboards, news articles, stats, and much more. Spring Training games begin on March 3rd, so you may want to jump on this application. You can download MLB At Bat 2012 today for free in the App Store.